What a fun way to introduce a work in progress! Thanks to Camille Minichino, “The Next Big Thing” chain blog continues . After I share more about my new work (with pictures, of course), I’ll introduce you to other artist and interesting people, more links in the creative chain. We were with an older friend of ours (80), talking about how active many older senior citizens were these days. She was still the president of an agency, Children’s Aid Program for Africa (CAPA), and volunteered for American Association of University Women. Then we discussed how seniors were working longer and harder than ever before. We even explored all the odd type of jobs senior could do. From there (you know how this goes), other conversations and life’s demands took over. But my subconscious wouldn’t let it go. The story idea kept popping up, with characters forming identities and working in an agency called Seniors Unlimited. Bet that happens for most of you … your subconscious working on a story or problem while your conscious mind works on daily chores. My book falls into the cozy crime category. It’s similar to the cozy mystery, but without the murder (attempted murder, kidnapping, thievery, and all sorts of mayhem). Go to http://www.cozy-mystery.com for some of the main ingredients of this genre. What actors would play in the movie rendition of your book? Kirstie Alley would play Ronnie, the head of the agency. Add a few wrinkles. Judi Dench would play Annie, Ronnie’s best friend and the agency’s accountant. Add black, round eyeglass frames. Danny Glover would play Vincent, retired psychologist and head of human resources. Add wire, rectangle glasses. Colin Firth as Sam, Ronnie’s British boyfriend. Just add some gray to the hair, and maybe a few frown lines. Seniors Unlimited concerns a San Francisco-based temporary agency for mainly 55-and-older employees, and the unusual jobs they find that often question prejudice toward old and young alike. As soon as I finish polishing the final draft, I’ll send it out to agents for representation. Several books about seniors (like Rita Lakin’s Gladdy Gold series and Jean Henry Mead’s Logan and Cafferty series) take place in retirement villages, and not a business run by seniors mainly for seniors. Also, Seniors Unlimited is a crime novel. There is no murder. I’m still looking for similar books. If you happen to know of any, feel free to let me know. Besides the type of agency jobs, the book explores aspects of Buddhism, autism, civil rights, and addictions. Camille Minichino is an author of two series (simultaneously), teacher, mystery book club leader, blogger, and a great support to new writers. Visit her blog at http://www.minichino.com/wordpress. This entry was posted in Uncategorized on October 14, 2012 by trow125. Hello, and welcome to my blog. I was hesitant to make the first wobbly steps into this realm of communication, but thanks to Camille Minichino (www.minichino.com/wordpress), a multifaceted individual and author (aka Margaret Grace and Ada Madison), I’m here. I’ll be answering questions for the continuing blog chain titled: The Next Big Thing, then forwarding to you five blogs of other authors. It sounds like great fun, and a more exciting way of introducing new works. I’m thrilled to be asked to be part of it. 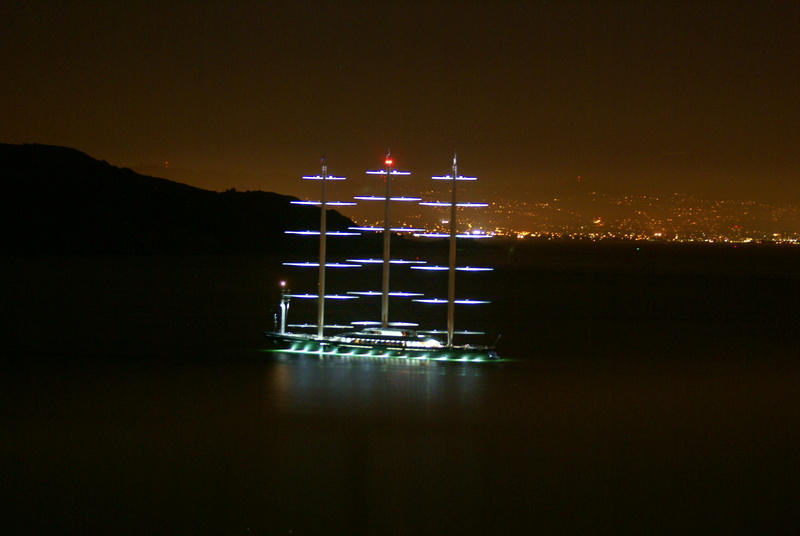 but last year, the Maltese Falcon visited San Francisco– a nice little sur prise for us mystery buffs. 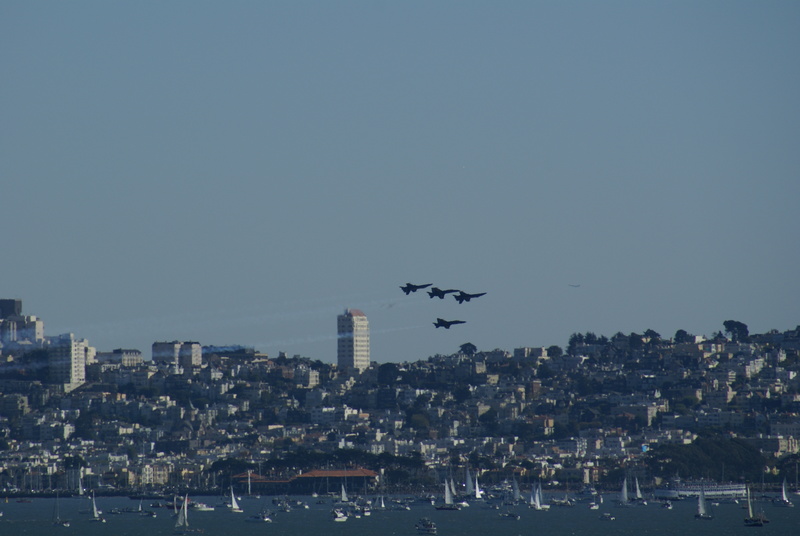 The masts automatically shift with the changing winds. You, too, could own this for 120 million! Besides slipping pictures into most of my posts about different local events (and some on momentary lapses of perception about nature and life), I hope to be sharing more about the psychology of characters, in and out of books, asking your opinions about the breadth and depth of the characters in your life, and adding some thoughts on literature and writing. Your comments are always welcome. To learn more about me (my short story awards including the Anthony and Derringer finalist, “Homeless”, and my Marin Fringe winning play, The Gatekeeper), and read a few of my works, go to http://www.patricialmorin.com. AND … be the first to name this city in Europe and win my latest short story collection, Crime Montage. This entry was posted in Uncategorized on October 12, 2012 by trow125. This entry was posted in Uncategorized on October 10, 2012 by trow125.